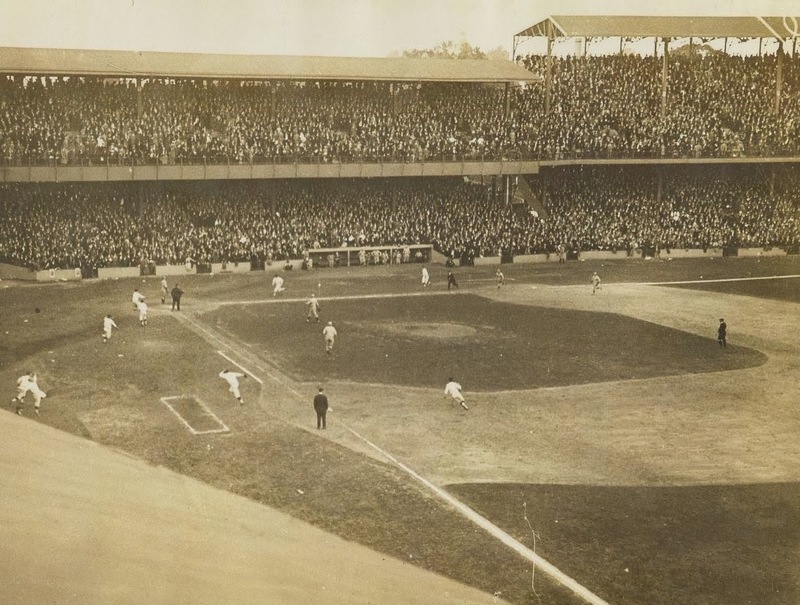 2014 marks two World Series "anniversaries" for John McGraw. 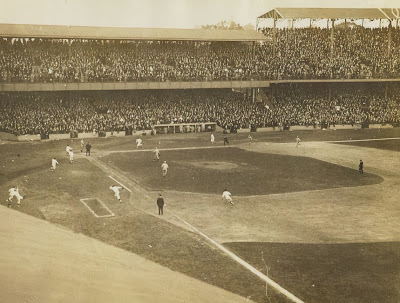 First, it's been 110 years ago since he turned down a post-season series against AL pennant-winners Boston, calling his NY Giants champion "of the only real major league." Packard Motors printed their 5"x7", 16-page magazines for placement in showroom lobbies and service stations from 1951 to 1957 and this #5's from the initial year. Its 2-hole punch implies it came in a binder with other Sports Library issues or car sales info. Issues without punches, like Babe below, probably went out by mail. 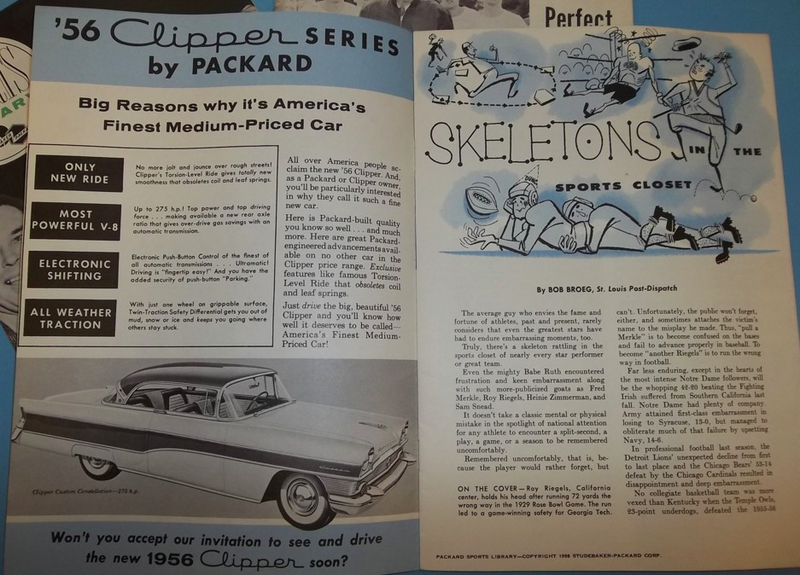 Packard customized most magazines with a business address and many issues in the hobby today survive thanks to collectors who obtained autographs from 1950s stars like Ted Williams and Jackie Robinson on their covers. While not exactly cards, these issues make for interesting Americana, as an overlap of the post-WWII boom in automobiles and sports fandom. 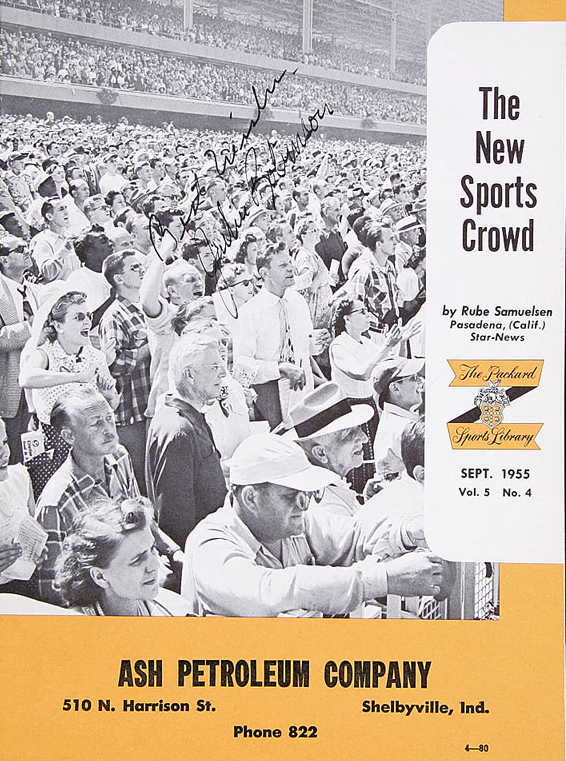 Individual articles read like time capsules from an era of classic sportswriting and are worth checking out just for that sweet 1950s art style. Value: Single issues are easy to find on Amazon or eBay and non-baseball covers generally cost less than $20. Baseball stars in decent shape, like the Ruth cover above, might run more. Fakes / reprints: Haven't seen any reprints in the marketplace.